Natasha Shelokova was born in Ukraine. She has had a fascination with drawing since childhood. Graduated from Kharkiv State University of Construction and Architecture (Ukraine) with degree of Architecture, she has worked as an advertising designer and later as an interior designer. After moving to Canada , and graduating from International Academy of Design and Technology (Toronto), she embarked on an 8-years career as an interior designer at a well known company in Toronto. Natasha has continued to follow her artistic dreams; refining her drawing skills and in 2009, she began using oil as her primary medium. Since 2012 she has been a full time painter, finding inspiration in the quiet beauty of nature. She aspires to demonstrate the uniqueness of the characters in her portraits, using a variety of mediums: oil. acrylics, watercolor. 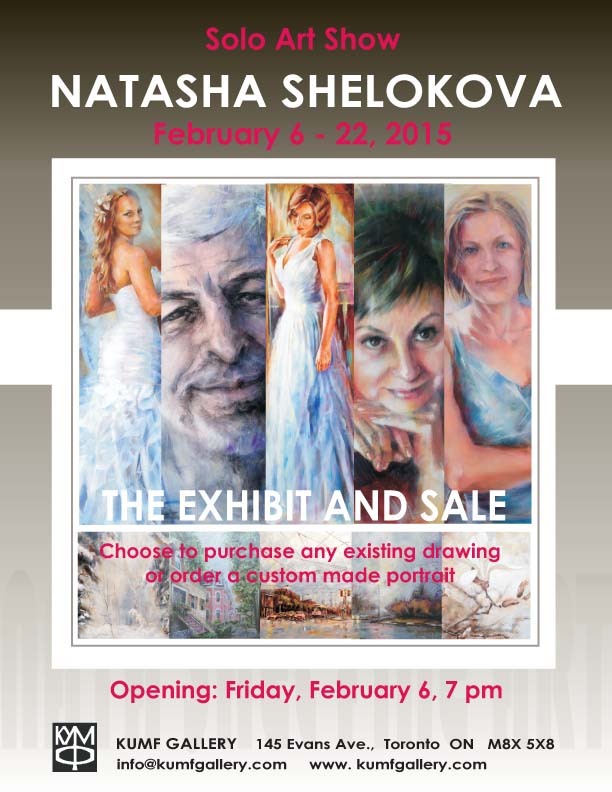 Since 2013 she is a member of Ukraininan association of visual artists of Canada.